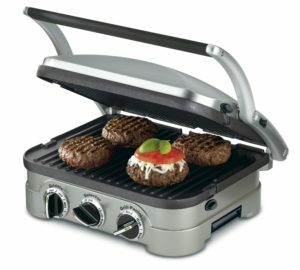 Sandwich Grill - Reviews about the Best Sandwich Grills on the market. This article focuses on the different types of sandwich grills, Panini press and other such kind of machineries Cuisinart offers. A quick search on the internet, and you will find that Cuisinart has been rated as the second most favorable brand when it comes to a good sandwich grill. 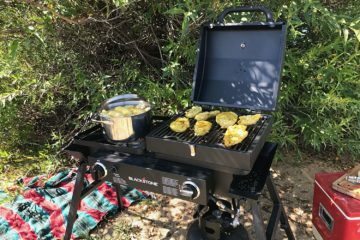 Sandwich Grill : What Cuisinart offers. Cuisinart’s motto is “Savor the Good Life”. What Cuisinart is vested in is making kitchen appliances that are easily manageable and affordable. In 1973, the co-founder of Cuisinart introduced the food processor. It was a great kitchen appliance addition, which can now be found in every household. In fact, it has become somewhat of an important appliance for people who are not good at chopping. The sandwich grills offered at Cuisinart are a mixture of grill, griddle and Panini press. 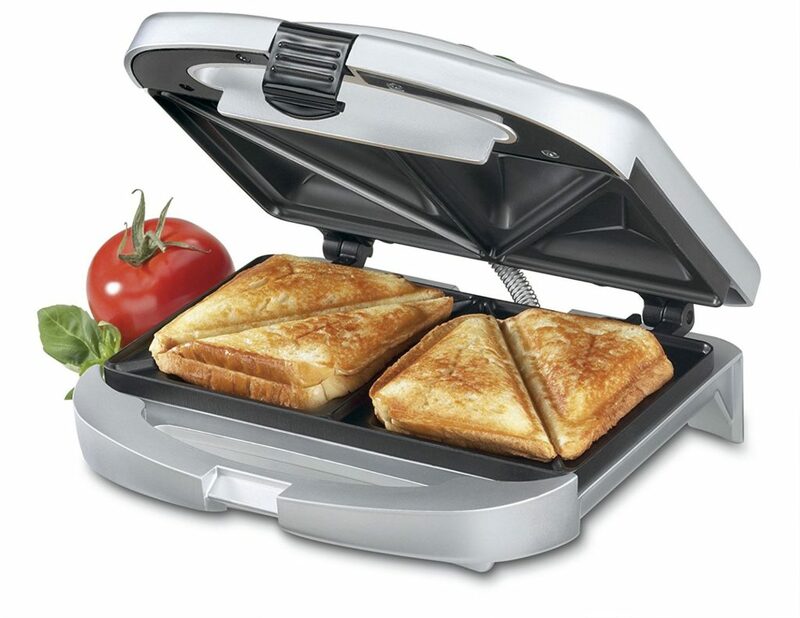 Each sandwich grill is made for the countertop and are convenient appliances that can be used anywhere. The fact that it’s a countertop appliance does not mean that you can use it just for the plain old sandwich. You can easily cook gourmet meals in your kitchen. 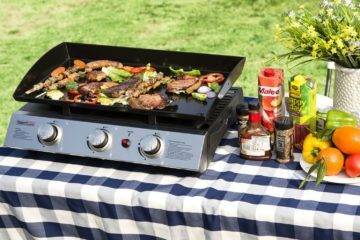 Unlike a full grill that requires much space and is hard to maintain, a countertop sandwich grill allows you to cook steaks and sear vegetables on high heat without much trouble. 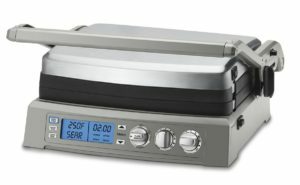 Cuisinart Dual-Sandwich Nonstick Electric Grill. Cuisinart GR-11 Griddler 3-in-1 Grill and Panini Press. 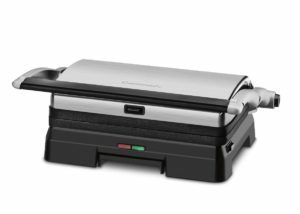 The griddler Cuisinart Panini press and grill is a three-in-one sandwich grill that allows you to enjoy the benefits of grilling a juicy piece of steak and make a Panini in the second turn or mix it up. The Griddler also gives you the opportunity to experiment with sweet and savories. The 5-in-1 Griddler can handle everything from pancakes to sausages to grilled cheese to steaks, hamburgers and Panini’s. The next in line Griddler is one of the first of its kind in the series. The 5-in-1 sandwich grill is much more than what you might see it at first look. This Griddler is a flip book that allows you to try on as many settings to cook multiple things at the same time such as an egg on the griddle and a steak on the grill. 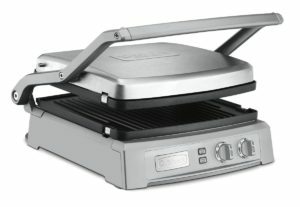 Cuisinart GR-150 Griddler Deluxe, Brushed Stainless. 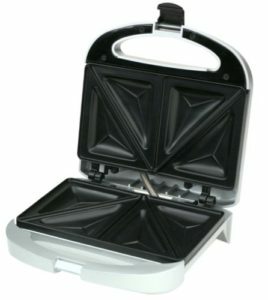 The Griddler Deluxe is 6-in-1 sandwich grill that gives you the options of a contact grill, Panini press, full grill, grill and griddle, full griddle and top melt. Cuisinart GR-300WS Griddler Elite Grill, Stainless Steel. The Elite is the last of Cuisinart’s Panini press. It is much more advanced than the other grills. 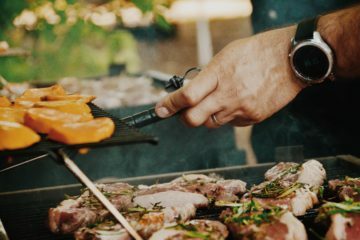 The best part about it is that it offers an electronic LCD display that allows you to keep track of the grill’s temperature. All Cuisinart sandwich grills and Panini press come with a protective paper to keep the cooking plates safe from any scratches and dust. Remove this protective paper and wipe off any residue with a damp cloth. Since most of the grills are coated with a chemical to keep the plates protected, you need to season them before using it. Most people don’t season their sandwich grills and that’s alright when they have normal cooking plates. In Cuisinart’s case, all the sandwich grills require seasoning because the plates are made with a non-stick material that needs to be kept smooth and oily, so that the food does not stick to it. The first time the grill is turned on, leave it on high heat for 10 minutes to burn off any residue from the chemical. Then clean it with a warm cloth and proceed to seasoning. 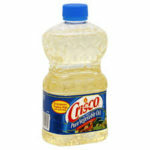 Crisco Vegetable Oil : perfect for seasoning your sandwich grill. Note: Apply seasoning every time you are done grilling. The more accurately you do the seasoning, the longer the cooking plates will last. Avoid using metal utensils as they can damage the surface of the cooking plate. Makes sure that plastic spatula is heatproof or you can always use a wooden spatula. One of the best things about Cuisinart Panini press and sandwich grills is that they all have red and green indicator lights. As soon as the food is done, the green light comes on. You don’t have to worry about over cooking or burning your food. 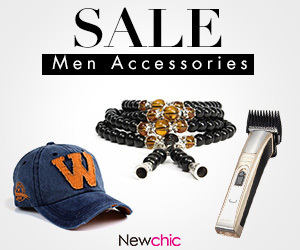 The above mentioned sandwich grills and Panini presses are some of the best Cuisinart grills in terms of power, cooking surface and weight. 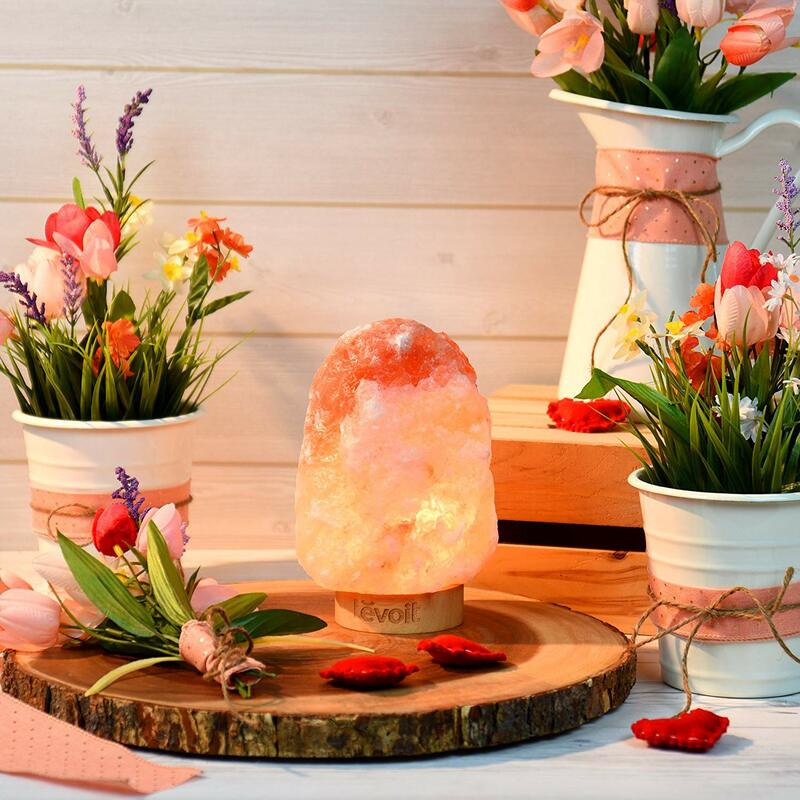 All of them are lightweight and you can easily shift them anywhere from your kitchen countertop to your dining table or on the patio for an impromptu lunch.